As a young school boy I found it hard to believe that scientists were able to compute the mass of our sun. After all, a galactic-sized measuring device does not exist. But where there’s a will, there’s a way, and by the 18th Century scientists had it all figured out, thanks to the work of others before them. Newton’s two formulas concerning gravity were key to later scientific discoveries, and we’ll be working with them again today to derive a third formula, bringing us a step closer to determining our sun’s mass. where, M is the mass of the sun, r is the distance between the sun and Earth, and G is the universal gravitational constant. At this point in the process we know some values for factors in equation (3), but not others. Thanks to Henry Cavendish’s work we know the value of m, the Earth’s mass, and G, the universal gravitational constant. 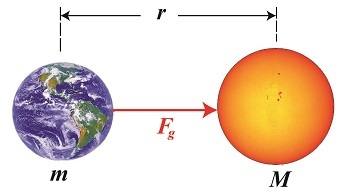 What we don’t yet know is Earth’s distance to the sun, r, and the gravitational attractive force, Fg, that exists between them. Next time we’ll introduce some key scientists whose work contributed to a method for computing the distance of our planet Earth to its sun. Last time we saw how Henry Cavendish built upon the work of scientists before him to calculate Earth’s mass and its acceleration of gravity factor, as well as the universal gravitational constant. These values, together with the force of gravity value, Fg, which we’ll introduce today, moved scientists one step further towards being able to discover the mass and gravity of any heavenly body in the universe. So what is Fg? It’s a force at play way up there, in the outer reaches of the galaxy, as well as back home. It keeps the moon in orbit around the Earth and the Earth orbiting around the sun. In the same way, Fg keeps us anchored to Earth, and if we were to calculate it, it would be calculated as the force of our body’s mass under the influence of Earth’s gravity. It’s common to refer to this force as weight, but it’s not quite so simple. 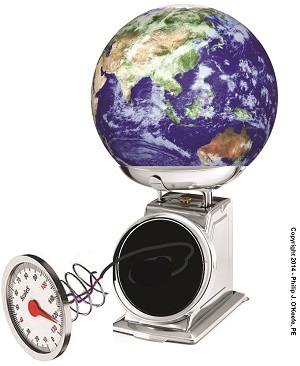 Using the metric system, the unit of measurement most often used for scientific analyses, weight is determined by multiplying our body’s mass in kilograms by the Earth’s acceleration of gravity factor of 9.8 meters per second per second, or 9.8 meters per second squared. Newtons? That’s right. It’s easier than saying kilogram · meter per second per second. It’s also a way to pay homage to the man himself. In the English system of measurement things are perhaps even more confusing. Your weight is found by multiplying the mass of your body measured in slugs by the Earth’s acceleration of gravity factor of 32 feet per second per second. Slugs is British English speak for pounds · second squared per foot. 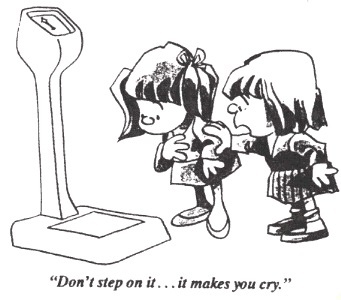 We normally refer to weight in units of pounds, and in engineering circles it’s pounds force. To avoid any confusion, you could just step on the bathroom scale. Next time we’ll see how the force of gravity is influenced by an inverse proportionality phenomenon. 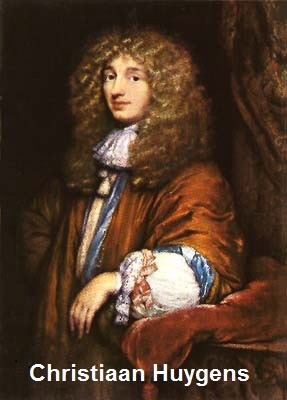 Last time we learned how Henry Cavendish used Christiaan Huygens’ work with pendulums to determine the value of g, the acceleration of gravity factor for Earth, to be 32.3 ft/sec2, or 9.8 m/sec2. From there Cavendish was able to go on and arrive at values for other factors in Isaac Newton’s gravity formula, namely G, the universal gravitational constant, and M, Earth’s mass. Today, we’ll discuss how Cavendish was able to calculate the Earth’s mass. where M stands for the mass of the heavenly body being quantified. For our case today M will represent the mass of Earth, which was originally quantified in slugs, a British unit of measurement. Today the measurement unit of choice in most parts of the world is the kilogram, which is the metric equivalent of a slug. Incidentally, 5.96 × 1024 is scientific notation, or mathematical shorthand, for the number 5,960,000,000,000,000,000,000,000. That’s a whole lot of zeros! Calculating the mass of Earth was an impressive accomplishment. Now that its value was known, scientists would be able to calculate the mass and acceleration of gravity for any heavenly body in the universe. We’ll see how that’s done next time. Posted in Engineering and Science, Expert Witness, Forensic Engineering, Innovation and Intellectual Property, Personal Injury, Product Liability | Comments Off on What is Earth’s Mass? Last time we introduced the term acceleration of gravity, a physical phenomenon posited by Sir Isaac Newton in his book Philosophia Naturalis Principia Mathematica. Newton’s Law of Gravitation is also presented in this book. It provides the basis for his mathematical formula to calculate the acceleration of gravity, g, for any heavenly body in the universe. where, g is the acceleration of gravity, M the mass of the heavenly body, R the radius, and G the universal gravitational constant. As for the values of the variables in his equation, Newton theorized that G would be a constant, holding the same numerical value throughout the universe. This universal gravitational constant would be the glue that bound together M, the mass of the object being measured, and R, its radius, and render Newton’s formula a workable equation. Without these three values, scientists would be unable to determine the acceleration of gravity rate, g, for the heavenly body under study, and Newton’s equation would be useless, relegated to the depths of pure mathematical theory. In fact, the value for G wasn’t determined until 1796. 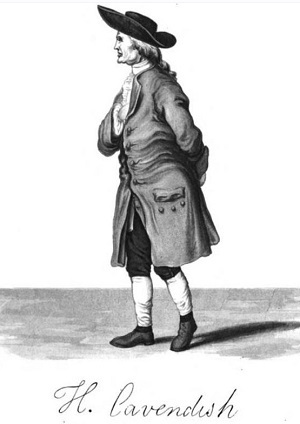 At that time Henry Cavendish derived its value as an adjunct to calculating the mass of Earth. In the end he was able to arrive at values for Earth’s mass, M, as well as its radius, R. He also came up with the much needed value for G, the universal gravitational constant. 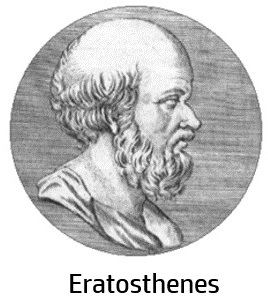 He was able to accomplish so much by building upon the work of other scientists before him. We’ll see who those earlier scientists were and how they contributed to the world’s discoveries concerning gravity next time.